Missing the 50's? The Glorious 50's slots has it all! 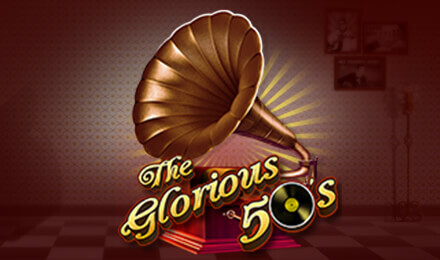 Gramophones, discs, juke boxes, free spins and so much more! Come over and enjoy the special era! Ready to go vintage? Play on The Glorious 50’s slots, the game that takes you back to the 1950’s of strong culture and the unleashing of pop music! Win amazing prizes on this captivating slot game that consists of 3 reels and 5 paylines. Land the bonus or wild symbol to trigger the “Pick Bonus” to reveal amazing multipliers! That’s not all, land gramophone scatter symbols to trigger the free spins feature. Here you’ll be awarded different amounts of multipliers and free spins where you stand a chance to win 22 times your initial stake!